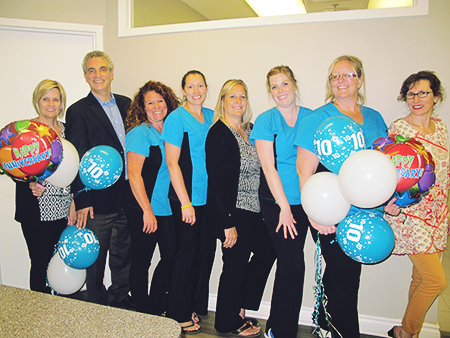 Dr. Benedict Celebrates 10 Years of Smiles! On July 24, 2014, we celebrated our ten year anniversary. Guests were treated to delicious food thanks to Marleen at N.D.L. Catering. The kids (and adults) were entertained by Bob the Magician's amazing magic show. Thank you to our wonderful sponsors for their generous prize donations. Over 20 of our guests walked away with prizes. We would also like to thank Bob Kennedy and Dr. Jokay's office for presenting us with such lovely gifts! A big thank you to our wonderful patients for joining us for our special day and for supporting us over the last ten years! At Port Hope Dental, we are pleased to offer you the very best care available, from enhancing your smile to maintaining the health of your teeth, gums and mouth. We appreciate the trust and confidence you place in us when you refer your family and friends to our office. It's the nicest compliment possible. We look forward to serving you for many years to come. Shhh...it's a surprise! 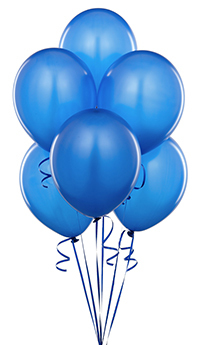 Come by our office on Monday, August 11th, 2014 to help celebrate with...click here. 3 Lucky Winners are Going to See the Argos! Dr. Benedict is pleased to announce the winners of Port Hope Dental's Argo giveaway: Deb, Shirley and Mark! Way to Go, Northumberland Nemesis! We are so proud of the lacrosse team we sponsored! They won the "A" championship at the Uxbridge Classic and won the "A" championship at the Scott Gerrie Tournament in Fergus. Congrats, boys! We wish the team good luck in the provincial championships in Oshawa! Sports Mouth Guard Clinic - Only One Week Away! 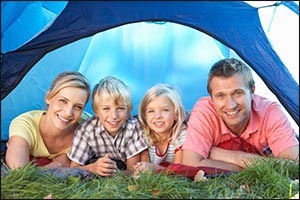 Click here for our camping dental tips!